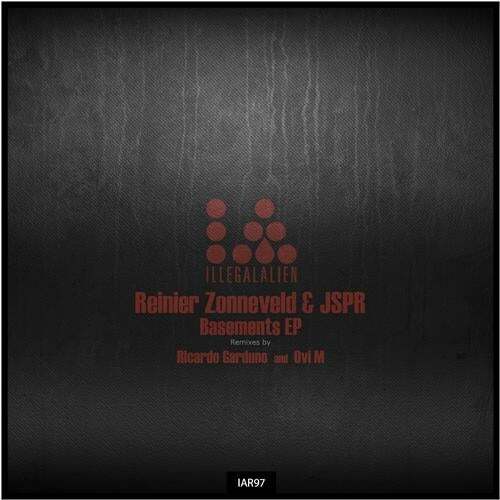 Catalog IAR97 belongs to a very talented young Producer, Rotterdam based Reinier Zonneveld. He is not new on Illegal Alien Records and this time is a collaboration with another great artist JSPR. Basements EP is the first release of Reinier Zonneveld for 2013 but on this summer we are also proud to release his new Full Length Album called "Reversed Psychology" this album goes from Techno to Electronica and lot of Musical elements, it is definitely an outstanding work from Reinier. Also for the pre Album release we got great remixes from Brood Audio's label head and very well known, Erphun and also Japanese Techno star Ryuji Takeuchi. For the release " Basements EP" we got on remix duties and we welcome aboard from Toronto, Canada, Techno producer, Ovi M. He has been releasing on Top labels such as Brood Audio, Impact Mechanics and Octopus just to name a few and for the second and last remix, we have Illegal Alien Label head Ricardo Garduno.